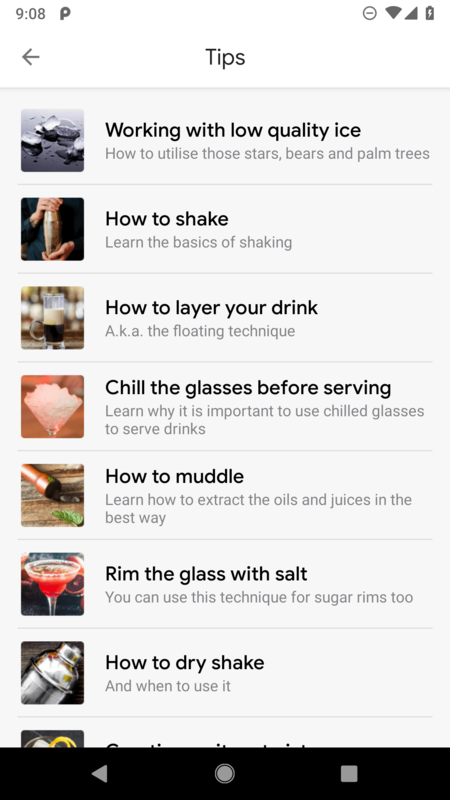 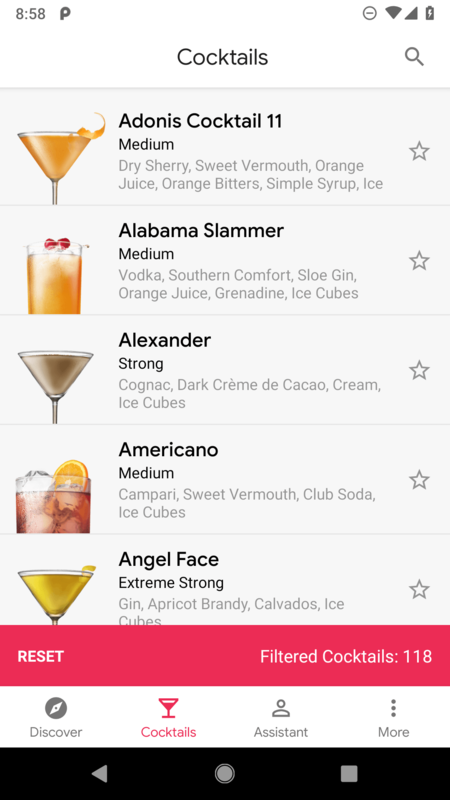 For years now, I've been looking for a modern replacement to Cocktail Flow, one of our favorite cocktail recipes apps back in 2011. 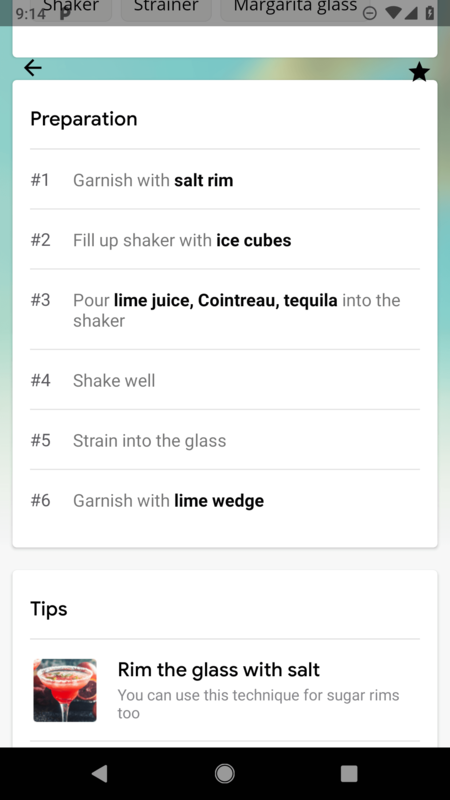 The alternatives have all been rather disappointing, and I've resigned to just Googling a recipe whenever I need it. 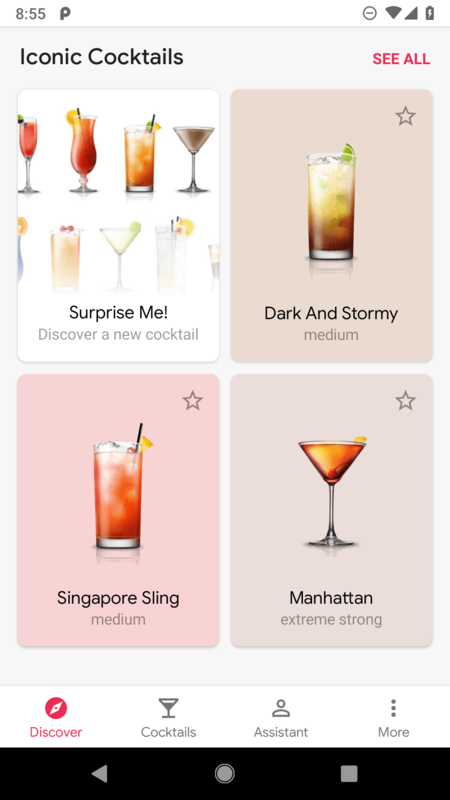 But let's just say that my spirit is a little buzzed now because Cocktail Flow has been taken off the shelf, stirred with all the Material Design I can think of, and served straight in a sparkling update with a cute little umbrella on top. 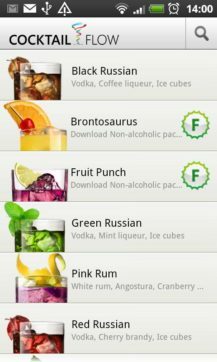 First of all, let's take a moment to appreciate what Cocktail Flow looked like before the update. 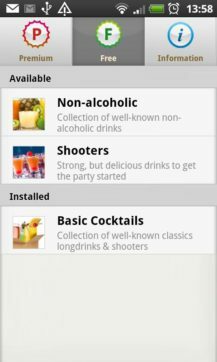 Bloody Mary, that was quite Old Fashioned! 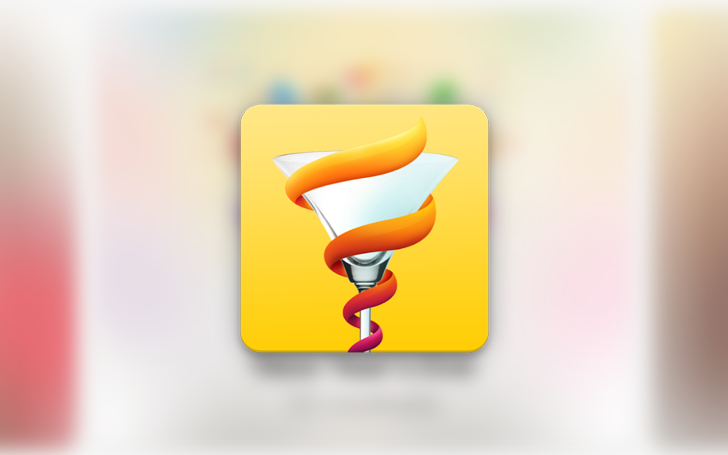 And now, feast your eyes on the new look. 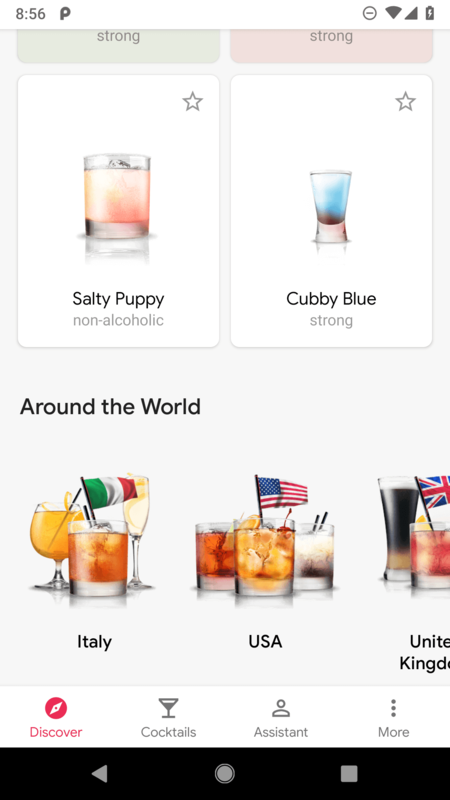 Clean design, beautiful photography, smooth interactions, with better ingredient explanations, filters for search, sources for cocktail recipes, tips, and more. 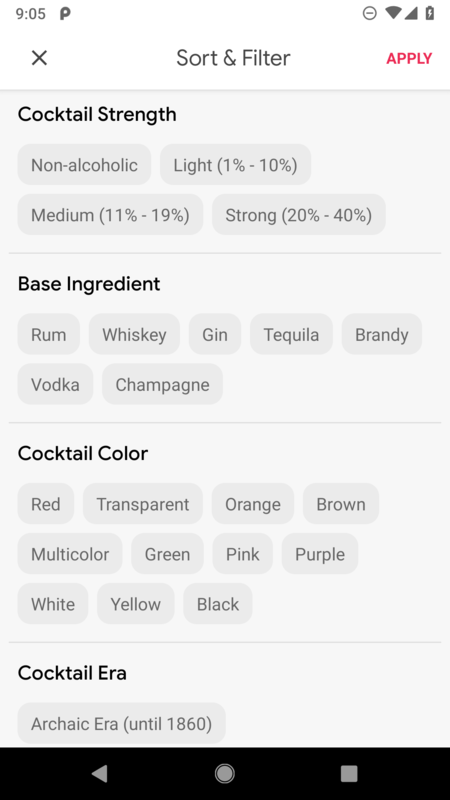 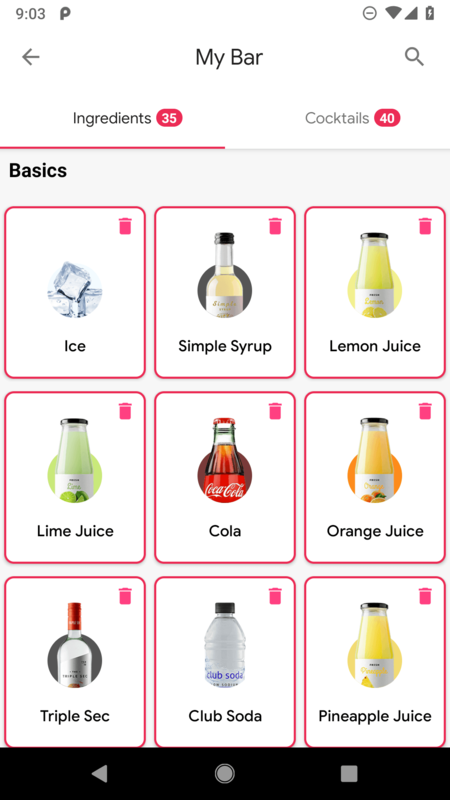 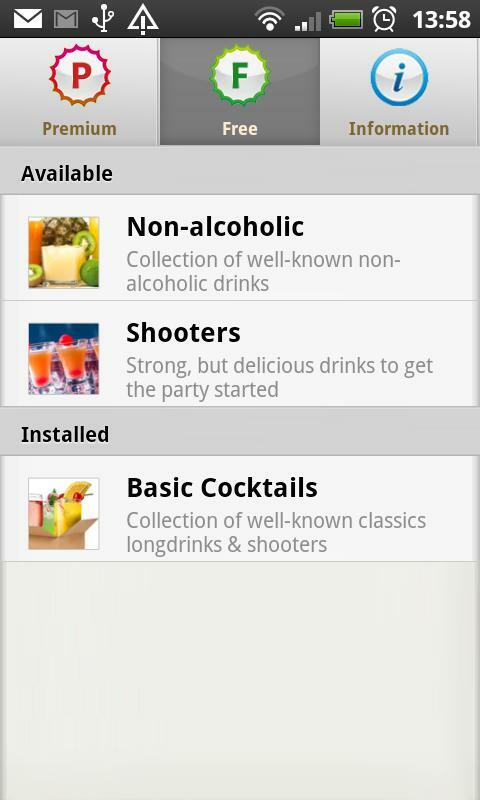 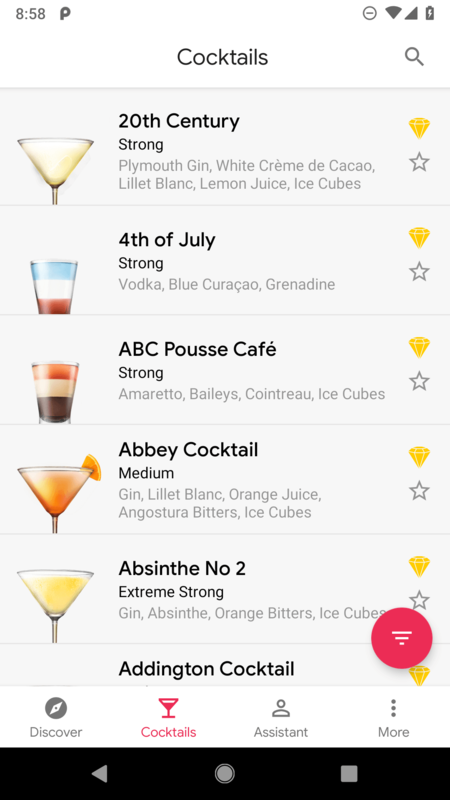 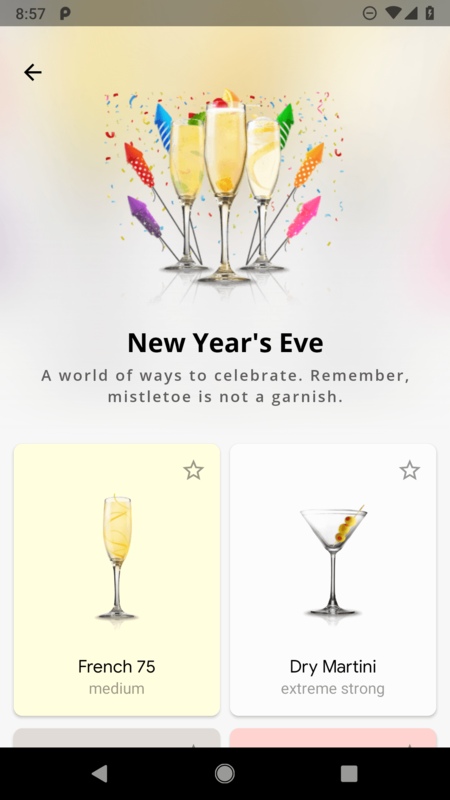 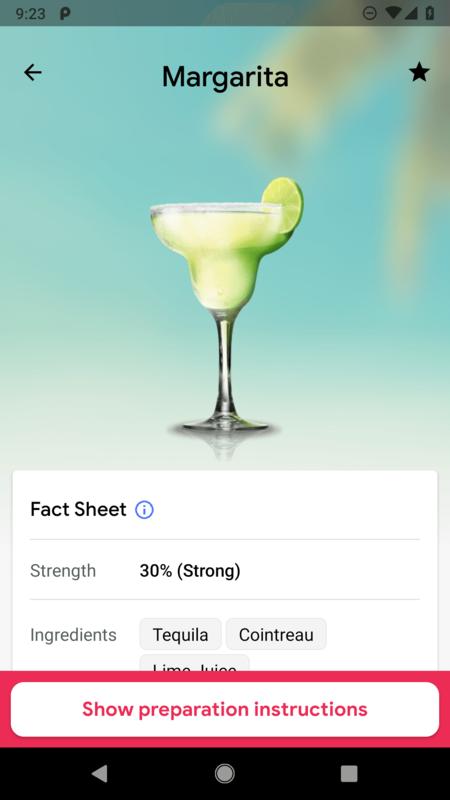 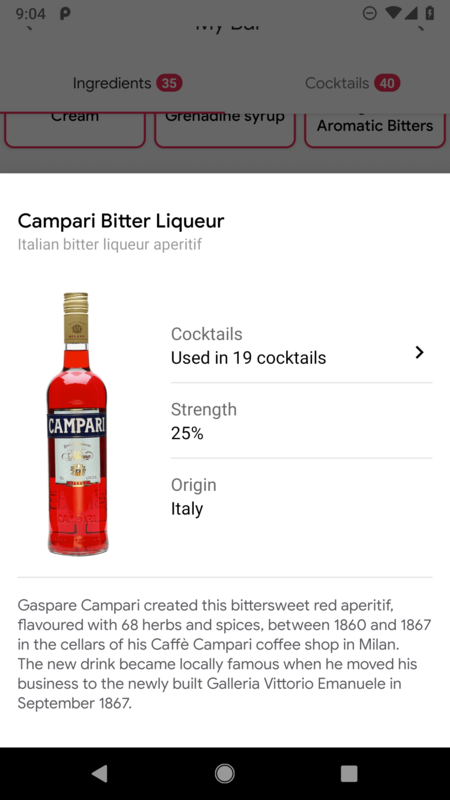 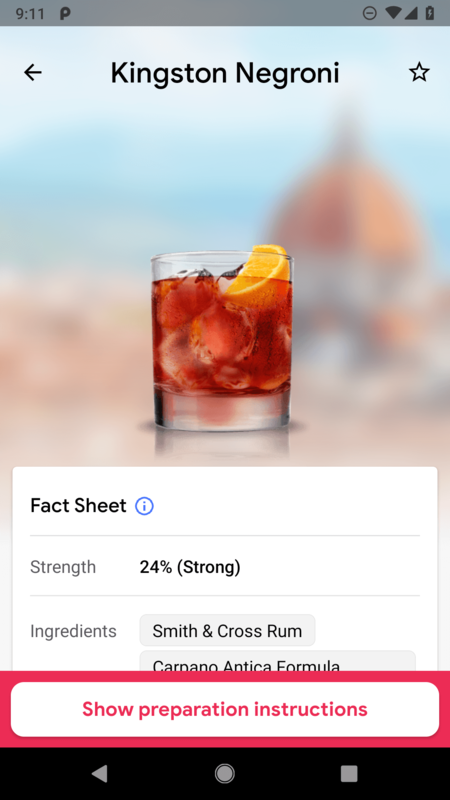 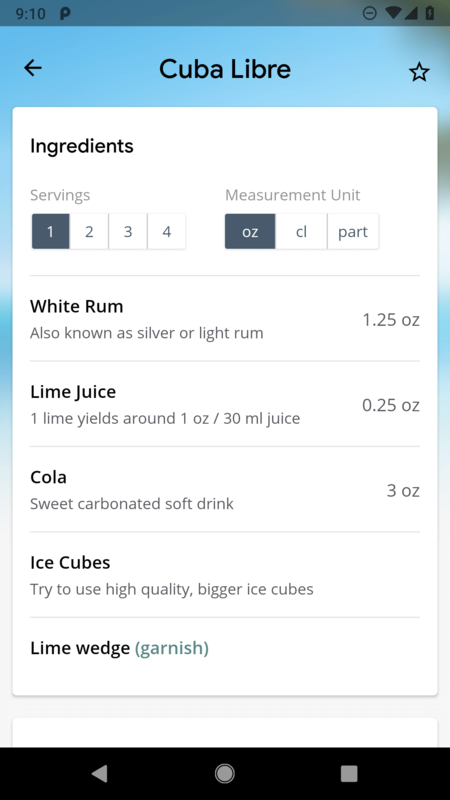 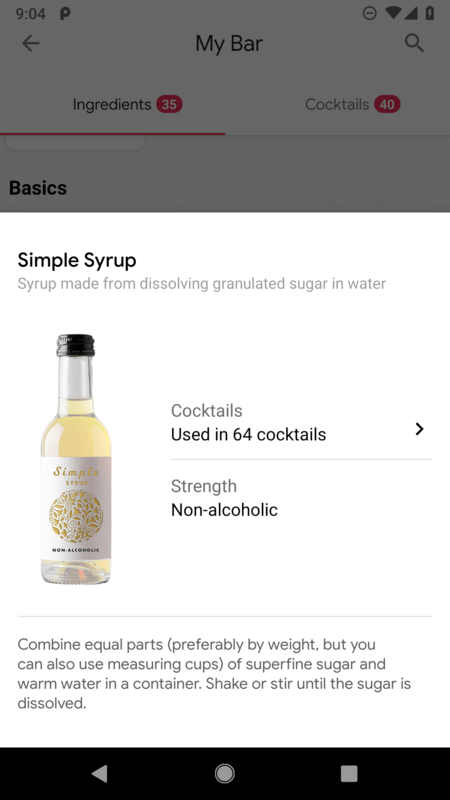 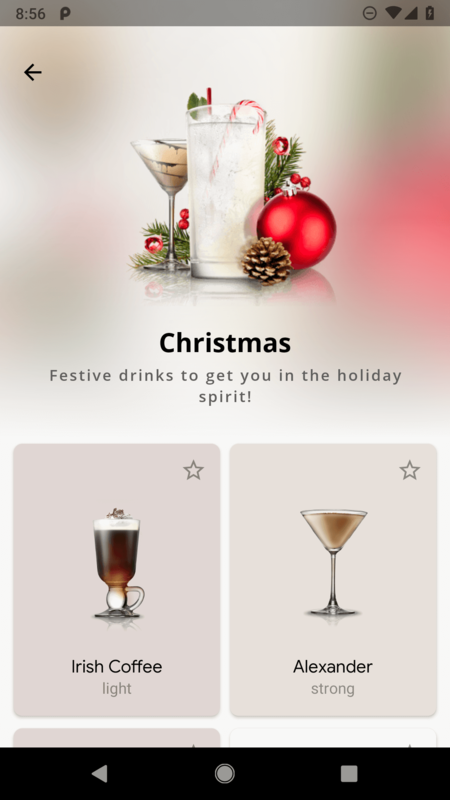 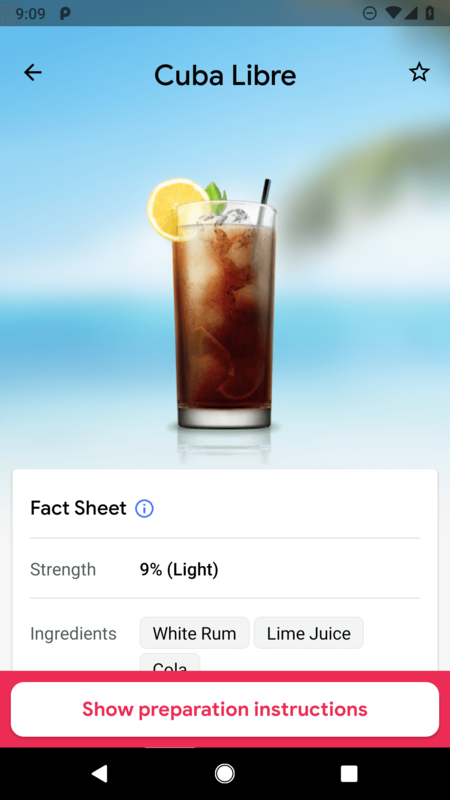 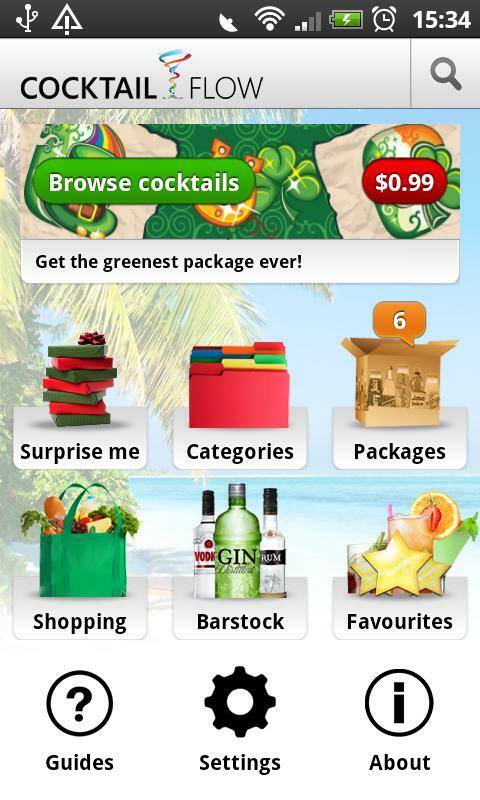 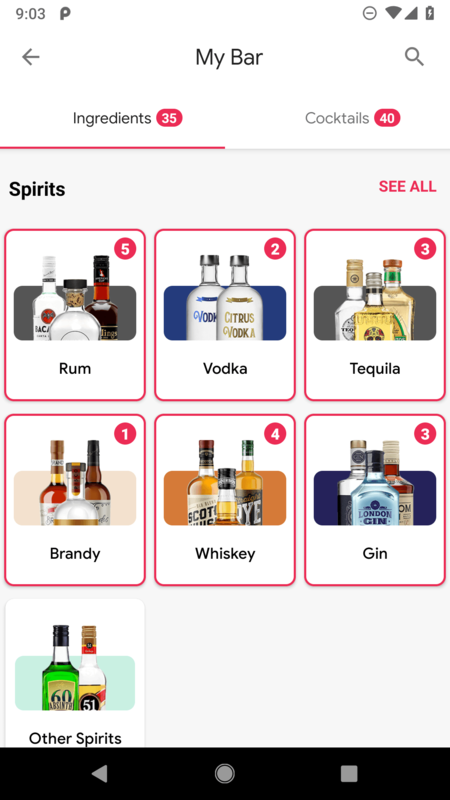 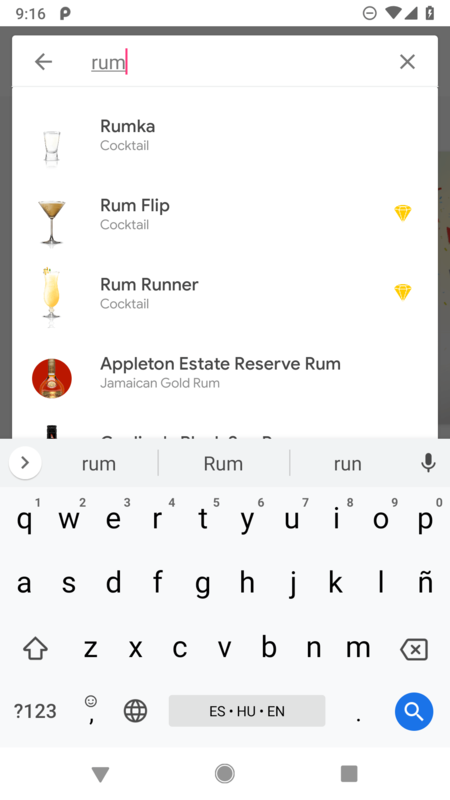 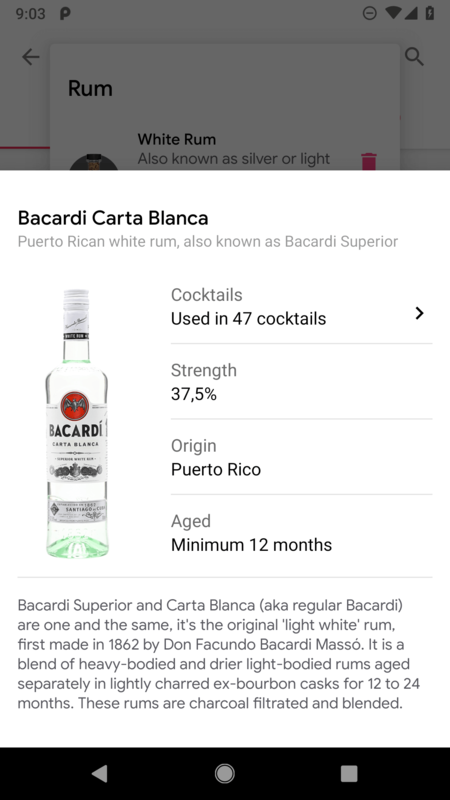 The new app keeps the My bar feature where you can add ingredients you own and get recommendations for cocktails to make. 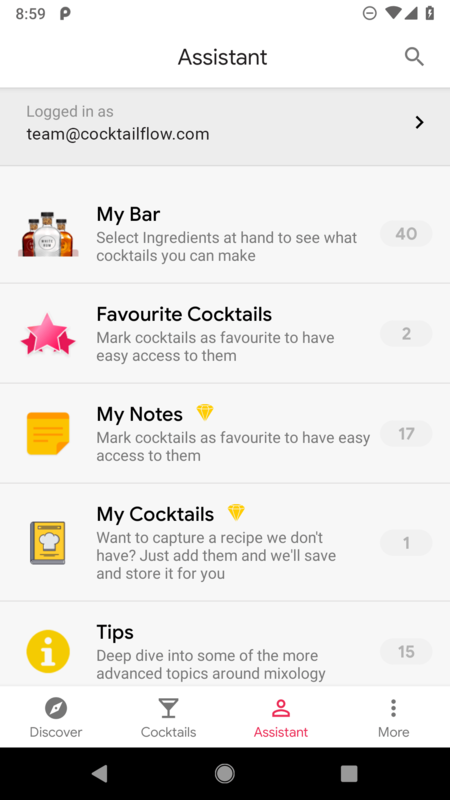 It adds sync though, so you only need to log in on other devices and your bar ingredients will show up. 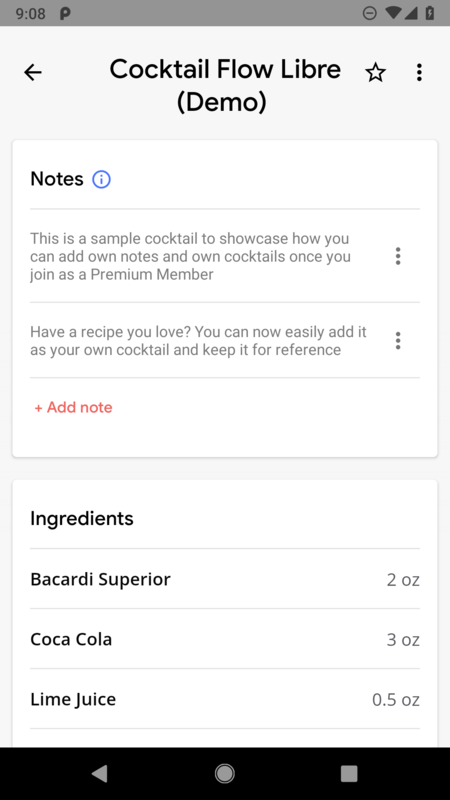 Another major addition is a new Premium tier that brings even more features, but is also costly. 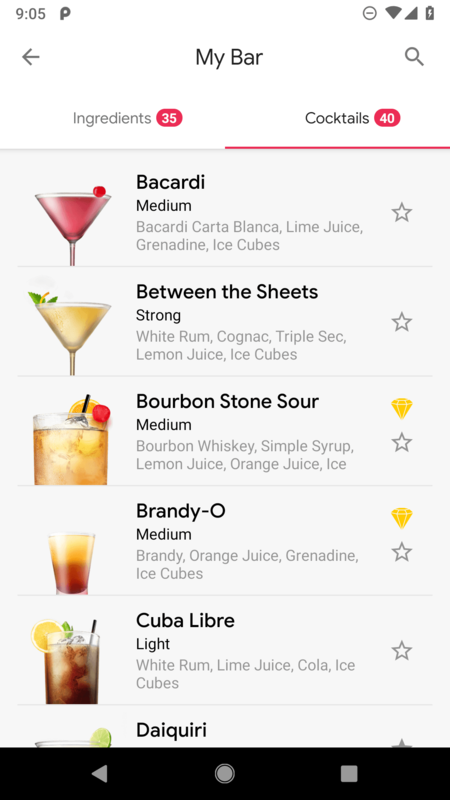 For $5/month or $20/year, you get access to 300+ premium cocktails, the ability to add your own recipes, and options to make notes about each cocktail to consult later. 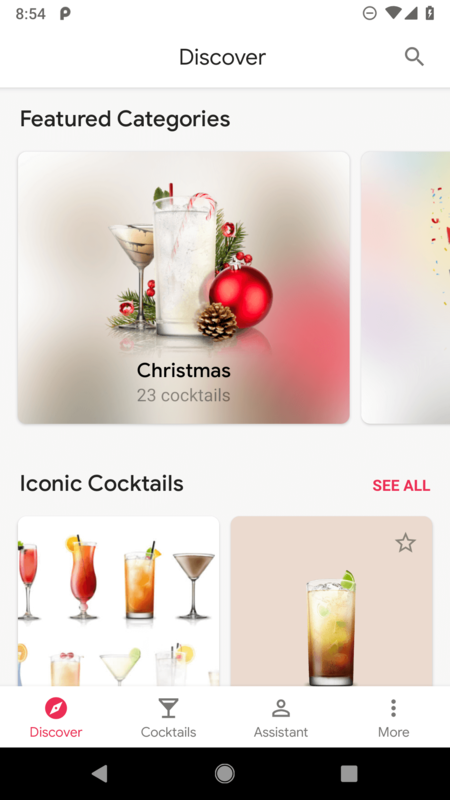 The team says that all the features that were free before remain so — Premium is just an addition on top of them. 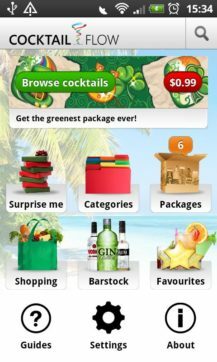 And for those who had already purchased add-ons in the old app, there's a section that explains how to redeem your purchases by sending the team your Play Store receipt. 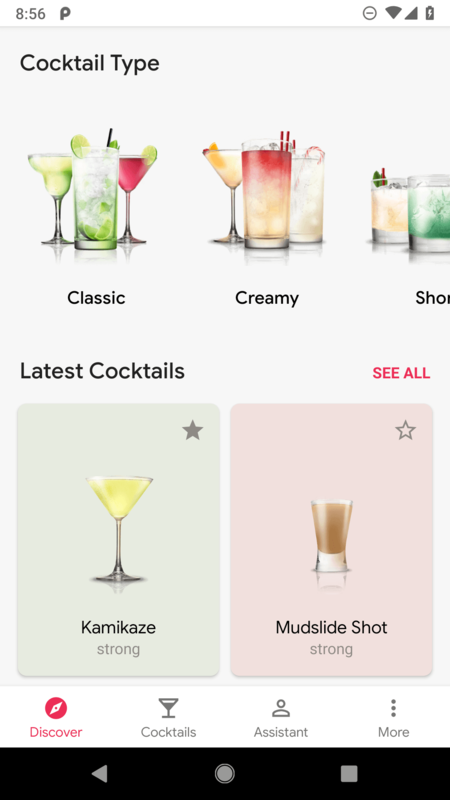 Overall, I love the look of the new Cocktail Flow, but I'm not completely sold on the need or price of the new Premium subscription. 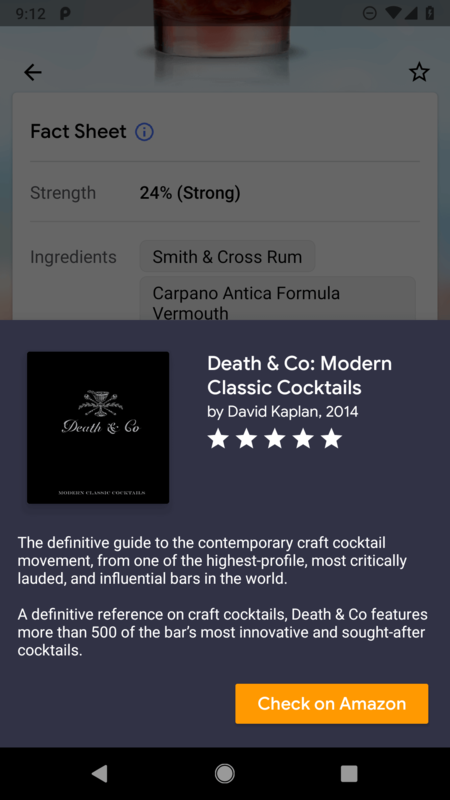 If you want to give it a go, the main app remains accessible for free.